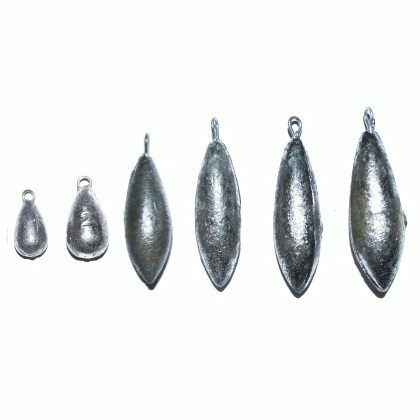 These plain weights are designed with casting distance in mind. With no grip wires or other attachments they are a streamlined shape which maximises the casting ranges that can be reached. They are ideal for fishing from beaches or other clean ground marks, or for fishing areas with little tidal flow where grip leads are unnecessary. 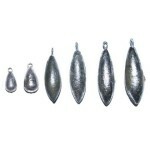 They can also be used to add weight for casting mackerel feathers, daylights or other lures. Now available in 1oz – 6oz options. Please note: minor cosmetic details of weights supplied may vary from those pictured.